Woodlands-based biotechnology company Opexa Therapeutics has announced the addition of two highly experienced biotech professionals to join the company’s Board of Directors. 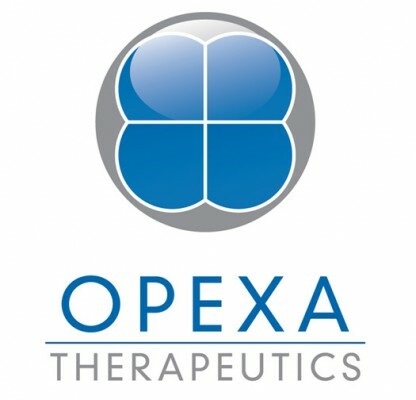 Hans-Peter Hartung, a world-renowned clinician and expert in the treatment of Multiple Sclerosis and other neurological diseases, and Timothy Barabe, a proven CFO with global operational and financial expertise, will join the board in helping to strategically plan Opexa’s next moves in its drug development efforts. “We are thrilled to be adding such esteemed individuals to complement our existing Board,” commented Neil K. Warma, Opexa’s President and CEO. A graduate of the University of Massachusetts (Amherst) with an MBA from the University of Chicago, Timothy Barabe retired last year as EVP and CFO of Affymetrix. Previously, he was SVP and CFO of Human Genome Sciences and CFO of Regent Medical Limited, a U.K.-based, privately owned surgical supply company. Mr. Barabe was also with Novartis AG for more than 20 years, where he served in a succession of senior executive positions in finance and general management, most recently as the CFO of Sandoz GmbH, the generic pharmaceutical subsidiary of Novartis. Mr. Barabe also serves on the board of ArQule, a Boston-based biotech company. “I am thrilled to be joining such an innovative and forward-looking company. I am impressed by the potential of Tcelna and I believe my operational and financial experience can be useful to the Company’s future,” he remarked. Woodlands, Texas-based Opexa Therapeutics’s mission is to continue to establish itself as a leader in precision immunotherapy. The Company is currently in the process of developing its novel drug Tcelna, a promising personalized therapy that can be specifically tailored to each patient’s disease profile for the treatment of Secondary Progressive Multiple Sclerosis (SP-MS), a stage of the disease that 80% MS patients develop over time. Opexa is currently conducting a Phase IIb study of Tcelna, called “Abili-T.” The trial is a randomized, double-blind, placebo-controlled clinical study in SPMS patients who demonstrate evidence of disease progression with or without associated relapses.